Shiva is a Sanskrit word and means an auspicious one. Lord Shiva is the foremost of among Hindu Gods. 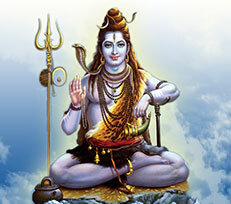 Lord Shiva is considered as main God for those who follow him are called as Shaivaite community. Lord Shiva is regarded as the one who executes the role of destruction form, among the three main Gods. The other two Gods, Lord Vishnu and Lord Brahma do their job of protecting and creating. Here Lord Shiva's role is important as he has to do a balancing act. This is a cycle of birth and death for Hindus as per his/her karmas. According to Hindu pundits; at the end of every Yuga, Lord Shiva wipes out everything in the world and creates new one for the current yugam. Lord Shiva is always seen in meditating form, and resides with his consort Goddess Parvati in the Himalayas. As per the Hindu epics, Lord Shiva gave one side of his body to Goddess Parvati and this form is known as Ardhanareeswara. Lord Shiva is believed to have many forms such as destroyer, creator and in charge of the universe. He will grant everything what his devotee wants. He always protects his devotees who have full faith in him and he never lets them down. In the Hindu epics; Lord Shiva lives in the burial ground and poses with ash on his body. This means that every creature in the world will have to die one day. When the body consigns to flames (aghni) the remains will be ashes. Hindu people believe that they cannot take anything during their final journey as everything is under Lord Shiva's feet. The temples dedicated to Lord Shiva follow traditions that are inherited from earlier Vedic age. 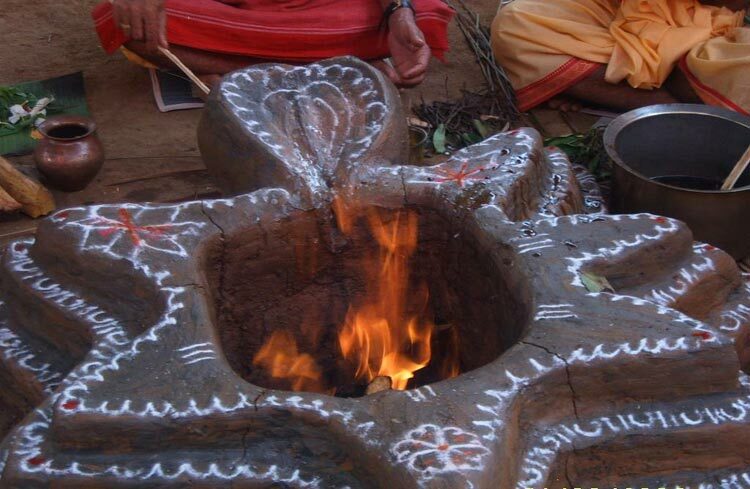 Many of the Shiva temples practice six kala pujas while few temples follow three. All days are like festivals for Lord Shiva. 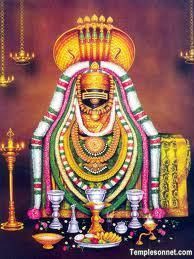 Here are the famous festivals or functions conducted for Lord Shiva; Mahashivratri, Thiruvathirai, Aani thirumanchanam, Pradhosham. As per the Hindu calendar many Shiva temples have annual festival of ten days. The Kasi Viswanathar temple in Varanasi and Sri Rameshwaraswamy temple in Rameshwaram are considered as the most scared among Hindus, as they want to visit these places at least once in their life span. According to myth, if one wants to visit Kasi, he must first seek parent's blessings and his kuladeivam permission. First he must visit Rameshwaram temple followed with Kasi and then back to Rameshwaram. Many saints and poets composed many songs in praise of Lord Shiva. Lord Shiva and Goddess Parvati are worshipped with many flowers and theertham. He blesses his devotees on the day of pradhosham by dancing with his consort. Special Abishekam of special ingredients are done on the idol of Lord Shiva.